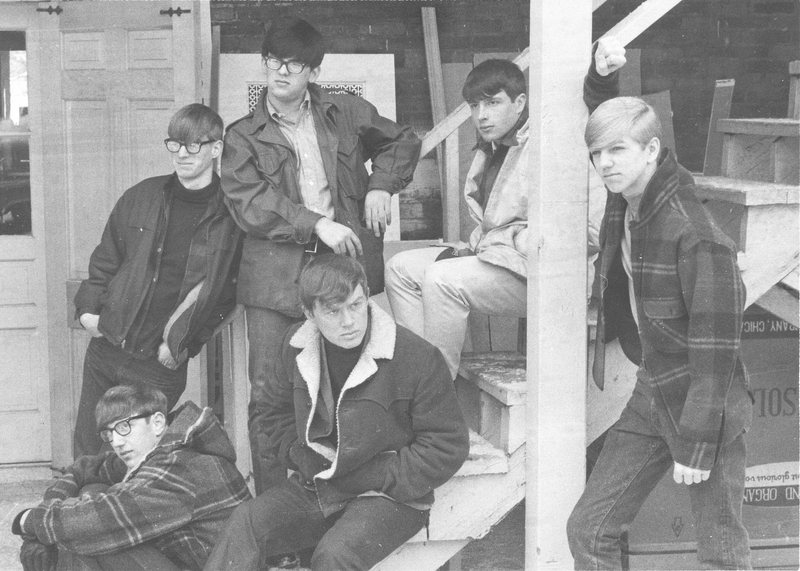 The Grayps blossomed in 1965 when when a group of Whetstone High school students from Columbus's north side got together to form a combo that featured ringing guitars and strong vocals, not unlike the Turtles. Led by bass player Don Ketteler, The Grayps built up following in short order thanks to strong musicianship and a energetic live act that featured some comic routines, which earned them first place in the 1966 Northland Shopping Center Battle of the Bands. 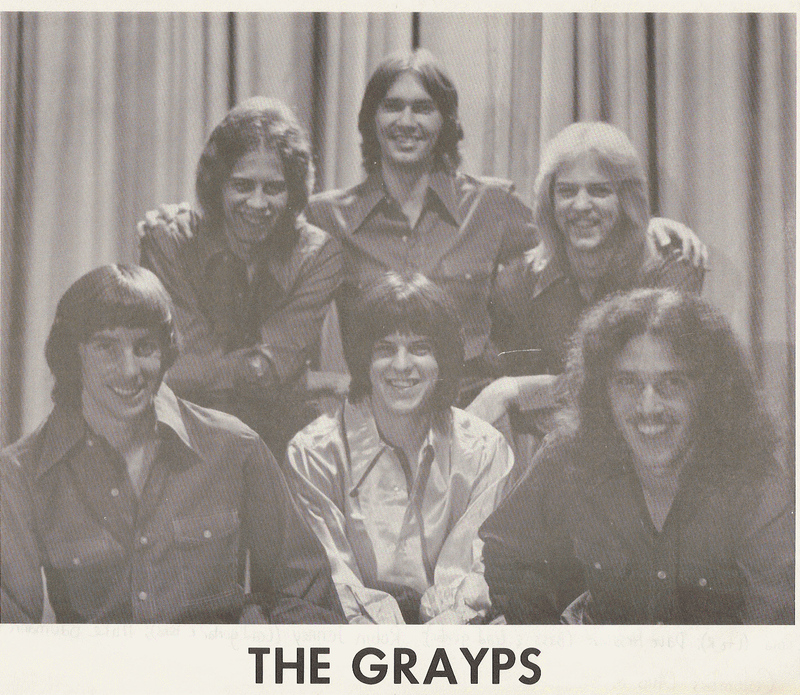 The Grayps became a major local attraction, getting gigs in greater Cleveland, Cincinnati, backing up Sonny and Cher at the Ohio State Fair, and opening for The Beach Boys, Left Banke, and The Byrds, and playing gigs with Bob Seger, The Dovells, and Terry Knight & The Pack. They recorded their first original tunes at Musicol Studio the Fall of ‘66, but music from that session wouldn’t see vinyl until 1968. Singer Charlie Cesner was drafted in the Spring of 1967. That Summer they went to New York City for a week, with new lead singer Kenny Weiss, a Cleveland native who had been a band called the Guv'nors back north. They played a few shows at Ondines' and recording a couple songs at Sanders Recording, a cover of the Byrds "Here Without You" and the original "Librarian", but the tracks were not completed. In 1968 the band recorded a dozen songs at Mus-I-Col and through their manager pitched them to noted NYC producer Wes Farrell. Farrell ignored the band's more adventerous material and latched on to "Leader Of The Band", a 'throwaway bubblegum' style number written by guitartist Paul 'Bud' Dillahunt and keyboardist Sterling Smith. The song was issued as a 45 on Cobblestone records, backed with an original from that first session at Musicol, "You Came Up With The Sun", a "horn-rock" number like the Buckinghams. The record did not do much and is now very hard to find. College logistics were a factor for the band, and in the Fall of 1968, Jon Townley (from Worthington band, “The Prophets)” along with drummer Andy Smith (no relation) who went on to Berklee College of Music, to be replaced by Phil Smith (Sterling’s brother). By this time, about half of the Grayps material was original, but college commitment prevented much effort at getting into a recording studio or pursuing a label. The Grayps broke up for a while in the Spring of 1970. Sterling joined J. D. Blackfoot, just in time to earn a credit on their Mercury LP - even though there are no actual keyboards on the LP as it was recorded before he joined. That association would evolve into Osiris and ultimately, The Load. Phil Smith went on to teach fine art, but played drums for a while with The Challengers and more recently, a stint with Wars Of The Future. By 1972, with college and the draft now behind everyone, original Grayps Ed Mikusa (vocals), Mike Meyer (guitar), Don Ketteler (bass) and Mike Baumann (drums) re-formed the group and played every weekend. Sterling often joined in when available, and eventually yet another brother (Tom) ended up playing drums along with guitarist/bassist Dave Hessler. Several of The Grayps were involved in Owl Recording Studios during the mid 70’s. Don Ketteler would ultimately have a career in music, first as a sound engineer (Meatloaf, Kiss, and the Broadway production of “Pirates of Penzance)” and as a production coordinator for producer/composer Jim Steinman. Dan Lawson (originally from Portsmouth Ohio) would end up in New York, working for Kris Kristofferson for many years, and collaborating with Karla DeVito on a solo album. By 1973, Sterling was involved with an all original trio called The Load, who would move to California in 1977 where he continued his career in music.